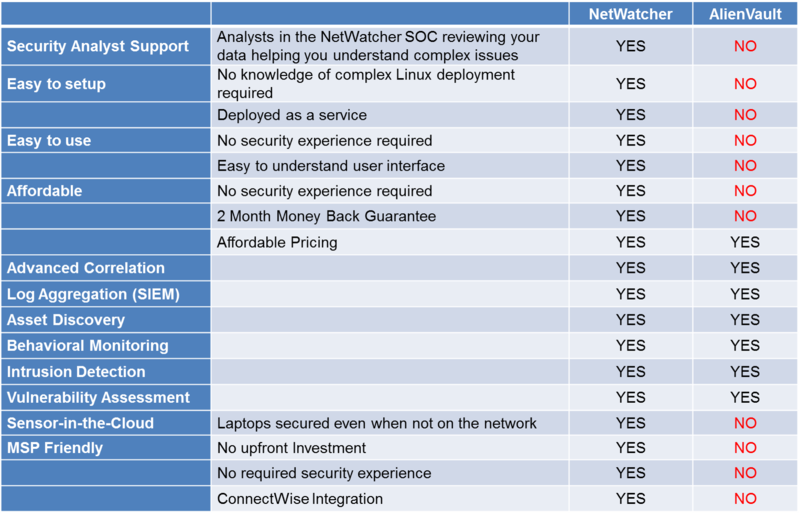 Several companies find themselves comparing NetWatcher to AlienVault during the sales process. Download this eBook to understand the differences. Continuous Monitoring, IDS, SIEM, Correlation, Threat Intelligence, Endpoint HIDS, Netflow AND a SOC team supporting you!